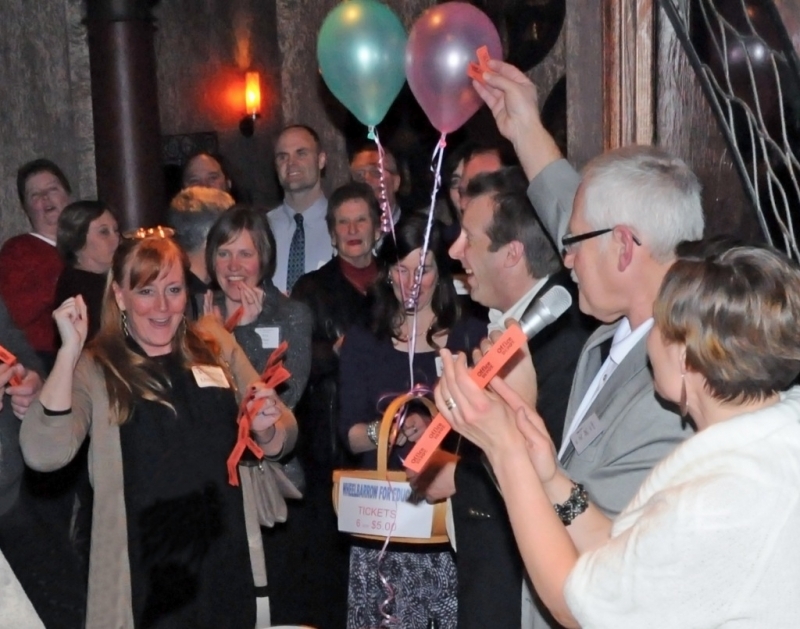 Nancy Melenick celebrates winning the Wheelbarrow for Education raffle at the Bay Village Education Foundation event on Jan. 27. 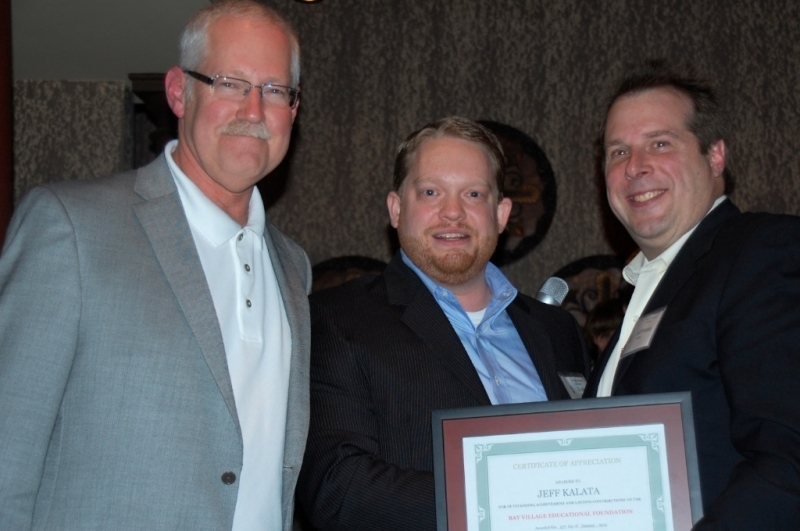 Trustee Dwight Clark and President Scott Best, present treasurer Jeff Kalata with a lifetime achievement award. 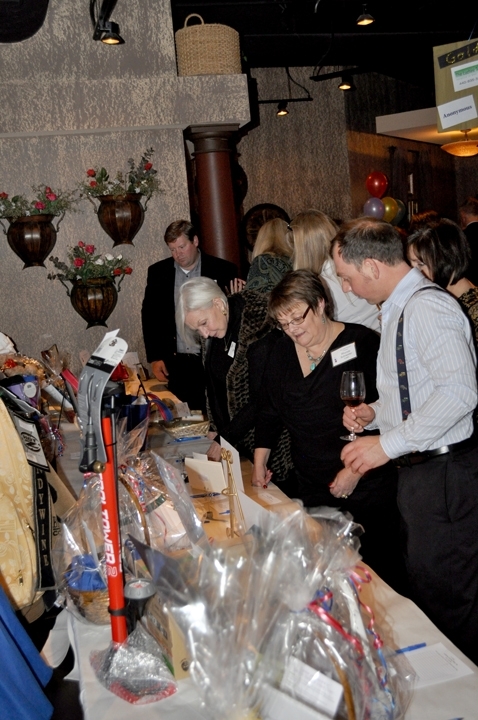 Bay Village Education Foundation trustees gather for a photo before the event. 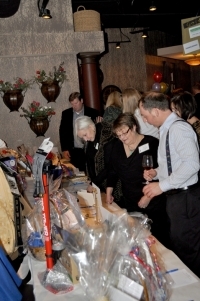 Attendees peruse the many silent auction items at the BVEF fundraiser.